I have had lots of "boring" sewing on my agenda to do this past week. I hate putting blocks together to make up a quilt top - it's a necessary evil of the craft in my opinion. But here's the Sherbet Pips top in all its glory. I am going to add a small white border to it and quilt it next Friday at Laurena's. I have also returned to straight line quilting this beast and it is literally a chore. Five inches x the length of the quilt takes me over an hour! What was I thinking? I am making myself do a column a day so I can just get it done. Remember this lovely stack of fabric? It took me no time at all to decide on the pattern and complete 18 blocks of Elizabeth Hartman's Stamps pattern for 2 baby girl quilts. Usually when I have such a potential project stack - it takes me weeks to decide wha to do - but the colors were just so lovely, I got an idea quickly and ran with it! My friend is having twin girls in early April and loves the colors yellow and purple. She came to my house and picked out a beautiful rainbow of pastel monochromatic prints. I am so glad I had asked for her opinion because I had had a red theme in mind and it turns out she doesn't really like red! This pattern was literally cathartic for me. You achieve the perfect points via an interfacing method - and it was just so relaxing to just lay out the squares, one by one. I also didn't feel like I was abandoning my family to sew over the weekend because I could just sit at the kitchen table and interact easily with Nick and Gregory - it's the kind of project that doesn't take a lot of concentration. My next step is to sash these blocks in white Kona. I will share my progress soon! I've had a very productive sewing week. I completed the BMQG swap item, completed blocks for one of the twin girl quilts (not sure if I can show them....), and finally finished all 72 of the Sherbet Pip bird bath blocks. I really dread laying these all out and putting them together - the layout really matters and finding the time and space to do this away from my two year old is difficult. Maybe over the Thanksgiving break I will find the opportunity. Each block has 21 pieces - definitely the most pieced quilt I have ever done. That's 1,512 pieces for the whole quilt! Plus I am going to add a thin white border around the whole thing. In a few hours I leave for the BMQG November meeting - we are having a show and tell, fabric swap, and we are working on some charity quilts - can't wait! I can't show what I completed earlier this week because I know my friend Alice reads my blog. I completed her kitchen swap item for our guild's swap activity - to be revealed in December. I mean that I create something with fabric. I mean that I choose colors. Cut colors. Sew colors. I mean that I sketch designs and I realize them in fabric. I mean that I cut and sew and press. I mean that my mind relaxes when I do so. I mean that in that repetition my mind is able to reason and solve nagging problems. I mean that the resulting quilt is something I will enjoy for the rest of my life. Or to whomever I give the quilt will enjoy. I mean that I've found something that is all my own. That is an expression of myself from start to finish. And ultimately will be that expression even after I am gone. I mean that I've got this thing to do my hands that brings me happiness. Calm. Satisfaction. Appreciation. Sometimes giddy joy. I mean that when my children were much younger, more demanding and my stay-at-home life made me feel separate, alone and detached from the world I had a means of re-centering. Finding my worth within myself. Yep. I cut fabric apart and sew it back together. And I'm so glad I do. Life has been pretty stressful here lately and I am finding a lot of comfort in being able to sew. It's so great to have something I can control and be my own thing. It's also nice to have something that can actually be completed - unlike a lot of house oriented projects that are forever needing attention. I am pretty comfortable with the fact that I don't focus the majority of my attention on making things to sell, swap, or even give away. I made myself 3 (going on 4) queen sized quilts for my own bed this year and I don't feel guilty about it. I don't enter shows or contests, write and publish my own patterns, or design fabric. I am not saying that any of this is bad - perhaps I will get into that stuff down the road - but for now, it's just nice to keep my hobby low-key and turning it into a business is definitely not in the cards right now. Have you ever noticed that it's always non-quilters who urge you to sell your quilts? I know their suggestion is a compliment but it's just not a motivation for me right now (not to mention I believe it's rarely cost effective!). Anyway - I will stop rambling now but thanks for sticking with me if you're still reading. More project posts coming soon. I saw a lot of Sarah Fielke at Quilt Market - I went to two Schoolhouse sessions where she was presenting and I attended a book signing. I find her work to be inspiring, original, and eye-catching. 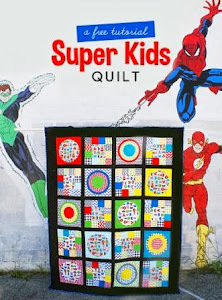 Her Material Obsession books (also written by Kathy Doughty) are easily my favorite quilting books and I recently completed the quilt on the cover of the first book (post coming soon!). She is not only a prolific quilter, but she designs fabric too! Her new collection for Lecien, St. Ives, is filled with nostalgia and whimsy - I hope to get my hands on some of those dots soon! This quilt is available as a free pattern download on the Lecien site. I enjoyed seeing many of her quilts "in person" - so much better than just looking at a picture. This eagle quilt is definitely one of my favorites - probably because of the dresden element. I really want to be better at doing applique - she uses the method to really add a wonderful element to many of her quilts. This "Night Garden" quilt is another one of my favorites but it scares me because you have to use templates! I visited her booth when she wasn't there. We showed up to the book signing quite early so we wouldn't miss our chance to come home with a signed copy of Quilting from little things... I was able to tell her that she made my day when she commented on this post from my blog and she seemed to remember the Dotty for Dresden quilt top I had made. I gushed and told her how much I loved her work. This book was the perfec thing to pour over on the plane rides home. So much eye candy and inspiration. My favorite part (so far) is her detailed explanation of how she chooses fabrics. This passage from the introduction is music to my ears, "My stash is large, but it's never large enough. I don't ever feel bad about how much fabric I have--the fabric is as essential to my inspiration as the actual construction of the quilts." I am the same way - I plan my quilts based on fabrics I love. Last August I made Urban Circus pajamas for my son using a pattern from the Amy Butler's Little Stitches pattern. It was the 9-12 month size and he was so big at 11 months that they didn't last long. Several months ago I made these pajamas again using the Oliver and S Bedtime Story pattern in size 3T. I put them away for future use. He just started fitting into them now and requests to wear them every night! Booya! I just love that fabric so much - I had to make another pair after he grew out of the first pair so fast. I can't believe what a different a year makes - he's growing so fast. Before I show you my glutinous pictures of all of the fabric I bought at Quilt Market- I figured I would slip a photo of what I accomplished yesterday so that you know I actually use my fabric and don't spend all my time buying it. I finally added the corner triangles to all of the blocks and it really makes the quilt look much better if I do say so myself. Sample spree on Friday night was crazy. We got in line 2.5 hours before it started as a veteran QM attendee had advised us. I saved money in anticipation of the event: pre-release fabric at wholesale (or less) prices.... I literally had a good dream about the event before I even arrived in TX. I did the most damage at the Lecien table: Flower Sugar, Folk Heart, and Woodland. I have always drooled over Flower Sugar fabrics but have never owned any before - so this was the favorite purchase of the whole spree for sure. I have also never owned any Art Gallery fabrics - so I decided to indulge in these super soft beauties. Riley Blake had some serious bargains: Daisy Cottage and Cherry Sew. I literally had to push my way through and out to navigate the Moda table - that was the craziest table! I was so happy to get my hands on Aneela Hooey's: A Walk in the Woods. I almost forgot about checking out the Robert Kaufman table but I am so glad I did. 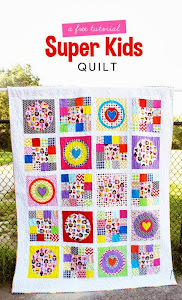 I already have the pattern planned for these FQ's of Laurie Wisbrun's Modern Whimsy. Lotta Jansdotter's Echo line is to die for. I have a thing for mono-chromatic prints - and this bundle has a ton of them! Traditional South African fabrics? I was so there! I love South Africa and lived there for 4 months as a college junior. I came home with very little fabric - so this was a special purchase. Finally, I couldn't resist several Echino half yd cuts - I can now actually make a quilt out of all of these! I think I will destash a FQ set on etsy though - there wasn't an option to just buy fat quarters. I went to the spree with the plan to indulge because I had saved my money beforehand and I don't think I will ever go to Quilt Market again. You only live once, right? I can't wait to cut into all of these fabrics and plan to do so soon. I accomplished a lot sewing-wise this weekend. I don't know where I got all of the energy from considering how exhausted I feel today. Maybe I had the motivation because most of the projects I completed had fast approaching deadlines. First, I made a peg bear for a 2 year old's birthday party. The birthday boy loves anything car oriented, so I used one of the few car fabrics I own. I have plenty of other transportation themed fabrics - but it was kind of strange that I didn't have a ton of car options. The little boy seemed to like it - so that made me happy. I don't know if I will ever get into making Halloween costumes, but I knew I could make a trick or treat bag. Halloween was postponed till this past Friday night due to the weekend's snow storm that brought down power lines, trees, and resulted in thousands losing their power for days. I had some Riley Blake Halloween fat quarters that did just the trick for this easy project. I used a pattern from The New Handmade: Simple Sewing for Contemporary Style by Cassie Barden. The only thing that about killed me was turning 1" tubes of fabric - with a layer of batting - right side out. I had to have Nick help me and it delayed me so significantly that the bag wasn't ready till about 10 minutes before we had to leave. I finally made two blocks for the Hip to Bee Square bee. Both of these blocks were easy and I am embarrassed that I was given 2 months to complete them and I was still a week late. The Kona coal pieces I was given for the stacked books block (left) came from two different dye lots- I find it very annoying that Kona can't tweak it's process to make all of it's Kona consistently "colored." Finally, I made binding and attached it to my Dots and Ties Quilt - now I am doing my favorite part: hand-sewing the other side. Stay tuned for a big reveal of the completed project! This post will show the quilts that I took pictures of at Quilt Market. Quilt Market is definitely not a "quilt show" but there is plenty of eye candy besides forthcoming fabric lines. My pictures originate from either the Schoolhouse classes (all day Friday classes mostly geared towards shop owners) and a few were taken on the floor of the market. Cinderberry Stitches from Lecien has their first new line that is so cute and whimsical: Woodland Utopia. We went to a "Schoolhouse" with Valori Wells, Tula Pink, Amy Butler, and Anna Maria Horner. Tula Pink had made a completely voile quilt out of all of their fabrics to showcase what a whole quilt of voile feels and looks like. It was gorgeous! The colors and saturation of the velveteen fabrics really makes me want some for myself even though I haven't been too sold on the whole velveteen thing.